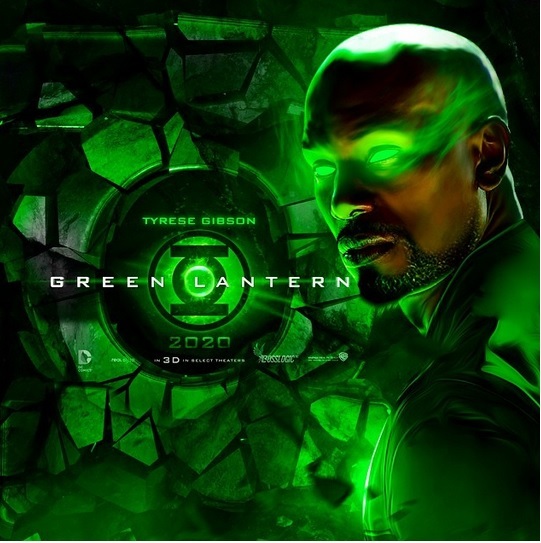 Tyrese Gibson, best known for playing the late Paul Walker’s unrequited love interest in 2 Fast 2 Furious, is openly campaigning to get the part of Green Lantern in upcoming DC comics movies. Oh, Tyrese. That’s not how this works! You can’t just post Photoshopped images of you in a Green Lantern costume and think you’ll get it. If that logic worked, I would be aboard the Tardis with Tatiana Maslany by now. I knew next to nothing about Nicolas Winding Refn’s next movie, Neon Demon, and I was still stupid excited. Now I know very little, and I’m unsure if I can physically survive the wait to see it. Elle Fanning is in it, which is good. And they just added Abbey Lee, who let drop a potentially huge spoiler that I’ll redact down to this: It’s going to feature cannibalism. I’m only kind of ashamed that piqued my interest even further. The guys who did John Wick are probably going to direct Cowboy Ninja Viking. That’s one of the single coolest sentences I’ve ever typed. David Leitch and Chad Stahelski would join star Chris Pratt in this adaptation of a comic book with the coolest name ever. This movie will feature all of the fighting. All of it.